The 3 hour Seminars are appropriate for all members &/or the public. It provides all Auxiliarists several options on how to easily report discrepancies. The 9 hour AV Qual Workshop is part of the qualification or re-qualification of both already qualified and new AV's becoming qualified every 5 years. 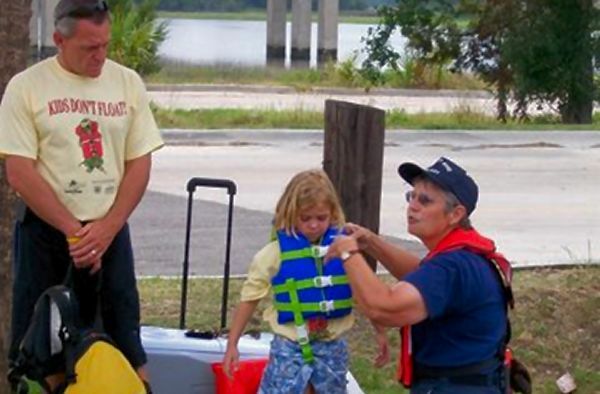 Boating Classes for New and Experienced Boaters The United States Coast Guard Auxiliary offers several classes for both new and experienced boaters. CLICK HERE	for a schedule of courses and to sign-up for one of our classes. For the "National Online Classes" Save 10% on cost at signup by entering our Flotilla code 0701002 in the USPS-ID field on the registration page. The United States Coast Guard Auxiliary is the volunteer component of the United States Coast Guard. The Auxiliary was founded in 1939 by an Act of Congress. The 30,000 members of the Auxiliary volunteer tens of thousands of hours in support of Coast Guard missions such as Search and Rescue, Boat Safety Checks, Safety and Security Patrols, Public Boating Safety Education, Marine Environmental Protection, and Maritime Domain Awareness. Here in Savannah the 59 members of our Flotilla operate in an area that stretches from Little River Inlet, NC South to St. Augustine, East to Gray's Reef, and inland West to Augusta, GA. We patrol these waters with 5 boats and 2 aircraft. We always welcome new members to wear the Coast Guard Auxiliary blue. If you are looking for an exciting volunteer opportunity that will serve both the boating public and our national security why not join us? Click on the Contact Us button to let us know of your interest lets begin a conversation. Sign up for a boating class or find our next free "VE" location. Check out the General tab for Boating Tips, lots of interesting Links and a fun Vessel Finder.